Life Of Pi (LOP) - One more story of a Crouching Tiger (Thirsty) & Hidden Dragon (Hunger) together in a life boat. In an attempt to make the movie a visual treat, the Director had LOP (Loss Of Plot) in this LOP. Resembling 'Cast Away' but far from its captivation the movie fails to explain a 227 days long journey logically. In order to make the audience 'Believe in God', Ang Lee overlooked that a movie just does not work only with magnified 'Nat Geo' scenes and people look for believable story as well or the way it is told. Definitely an eye feast with appreciable photography and graphics; but least exciting story of 227 Days similar to 127 Hours. And similarly, might get an Academy Nomination; but if this movie gets Best Picture Academy Award; then there is No God and Aamir might stop going to OSCARs as well. Dhamarukam (The Ultimate Sound of Power) - DHAMAALrukam... Such an illogical story, immatured direction, copied scenes (such as climax from 'Kung Fu Hustle' movie), not so exciting graphic work (infact the much anticipated six-pack looks one such work), uninteresting songs; even changing the correct title to an incorrect spelling would not help to this 'Dumb-rukam' effort. However, it turns out to be a heavy budget COMEDY film because of all the above said and people who have a 'funny bone' might get over this lengthy powerless sound. No 'mazaare mazaa...' from this making, for the KING. 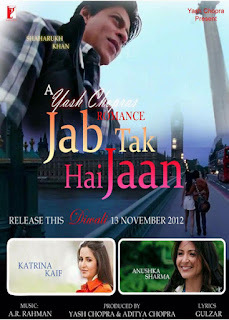 Jab Tak Hai Jaan - Mera kehna maan, please do refrain, watching it on big screen... if not forever. A perfect 'namuna' for making a 'simple love story' into a complicated three hour time BOMB. People say, it is not good to talk anything bad about a dead person; but with all due respect, this work of Yashji will be criticized (by me for sure) 'Jab tak hai jaan'... The man who cannot die in the film, together with two toppers in studies (proving that intelligence cannot be graded by ranks)... milke sabka band bajadiya. After seeing this story of a man who defused 108 bombs, hope people do not need the 108 service. Was pairing with Katrina so mandate for Shahrukh?? Might be an unanswered Question... Jab tak hai jaan!!! Oh My God | OMG - OGM | One Good Movie... An eye-opener to many in the current society; perfectly logical, performances magical, purely critical, surely satirical, definitely watchable and loudly laudable. Nice attempt to help people realize the true sense of pleasing God. The acting of Paresh Rawal as a victim of an 'Act of God' is worth praising. Also, the performances of Mithun Chakraborty, Akshay Kumar and other actors are appreciable. However, the glory of the movie is the story and well directed concept. It is good to introspect sometimes... :) God bless all. Skyfall - Not a Bond Movie in its usual sense... No edge of the seat action, no exciting gadgets, no accomplishment of the mission, no blonde girls, little breath-taking stunts, brittle charactered Bond; a wait that is not worth of... Skyfall, a great fall in Bond's legacy. Predictable scenes and editable screenplay; Emotions to the max and a demoting climax; flimsy film at the fifty year mark. 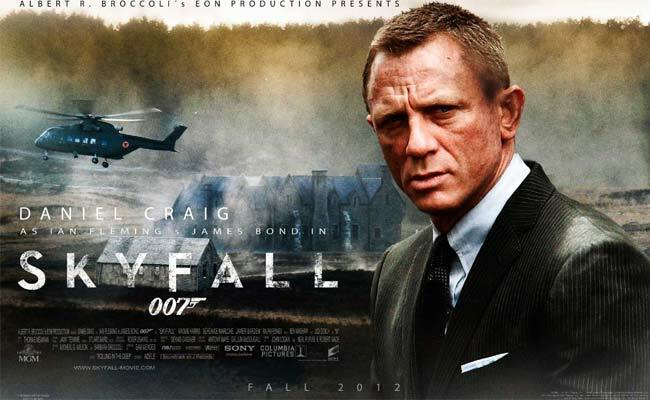 Undeserving end of 'M' with a reserved replacement, close-shave of Bond being Adam to the Eve Moneypenny; pale-off in the whole face-off with the movie. Hope in the next, the legacy is revived and the bond with Bond is relived; and from the fall we see a rise.